1. 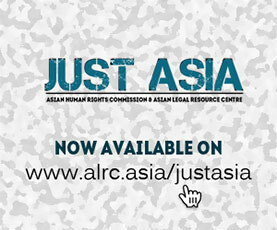 The Asian Legal Resource Centre (ALRC) wishes to inform the UN Human Rights Council (UNHRC) about human rights violations in Indonesia’s business sectors. Currently, the Indonesian government is geared towards encouraging and inviting foreign investors to invest in Indonesia, in the hope that foreign investment will strengthen the country’s economy. However, the government’s business policy has led to increased land confiscation and other agrarian conflicts. At the same time, no effective mechanism on agrarian conflict resolution has been put in place. 2. One of the controversial regulations implemented by the government is Presidential Decree No. 63 of 2004 on the Security of National Vital Objects, which has become a key tool used by the Police and Military. On behalf of “securing national vital object”, they show up to protect big companies and foreign investment, such as the Freeport Company in Papua Province and palm oil plantations in Sumatera region. Chaos and conflict between security forces and the local community is therefore inevitable as the community strives to reclaim the land being used by these companies and struggles for the right to a healthy environment. 3. Indonesia still relies on natural resources as the main source of State revenue. The Indonesian Forum for the Environment (WALHI), a non-governmental organization, reported that extractive industry and large-scale plantations continue to be supported by government policies. Between 2010 and 2012, the mining sector made up 30% of State revenue. However, the government has not issued regulations or established other methods for effective company oversight. For instance, WALHI notes that the Indonesian Freeport Company, a gold mining company operating in Papua, did not obey Law No. 9 of 1999, on Mining of Mineral and Coal, until 2014, resulting in environmental destruction. 4. Based on data from the Land Reform Commission (KPA), a national NGO documenting land conflict, throughout 2014 there were 472 agrarian conflicts in Indonesia, involving over 2,860,977,07 hectares and 105,887 households. These conflicts, as documented by the KPA, are a direct result of the government’s policies. In 2015, the KPA notes 252 cases of agrarian conflict, with total conflicted land reaching 400,430 hectares, and involving 108,714 households. While infrastructure development was the biggest cause of agrarian conflict in 2014, in 2015 the highest numbers of such clashes occurred in the plantation sector: 127 cases, with 70 cases in infrastructure development, 24 cases in the forestry sector, 14 cases in the mining sector, and four cases in the coastal and marine sectors. 5. The KPA emphasises that the increasing number of agrarian conflicts in the plantation area is evidence of the expansion of large-scale plantations in Indonesia. One of the biggest commodities in plantation areas is palm oil. 6. Meanwhile, the Commission for Disappearances and Victims and Violence (KontraS), a prominent national human rights NGO, stated in its annual report that in 2015 the majority of human rights violations in the agrarian sector and natural resources were committed by the Police and Military. The pattern of violations is fabrication of charges, land confiscations, violence and torture, and shooting to death. The ALRC’s sister organization, the Asian Human Rights Commission (AHRC), has documented various such cases: the land confiscation of the Ramunia local peasants by the Military in 2015 (AHRC-UAC-062-2015); the ongoing confiscation of tribal lands of Anak Dalam in Jambi Province; shooting at the local community of Sumber Agung, Banyuwangi Regency, who opposed a mining company in 2015; and the torture and murder of anti-mining activists in Lumajang Regency, East Java Province in 2015 (AHRC-UAU-002-2016). 7. The AHRC in 2015 also reported on the haze that has blanketed parts of Sumatra and Borneo Island, disturbing residents for months. The haze also crossed the nation’s border, affecting the citizens of Malaysia and Singapore. The 2015 haze was said to be the worst haze in the last 18 years. According to WALHI, there are some big companies involved in the burning of forests and peat lands. In Central Kalimantan, there are three Sinarmas subsidiary companies, and 14 of Wilmar’s subsidiary companies. In Riau Province, there are six Asia Pulp and Paper (APP) subsidiary companies. Meanwhile, in January 2016, the Palembang district court rejected the Ministry of Environment and Forestry’s lawsuit against Bumi Mekar Hijau Company concerning forest burning. Chief Justice Parlas Nababan stated in his judgment that burning forests is not harmful to the environment because they can be planted again. 8. A key factor in the land and environmental conflict is the lack of law enforcement and effective remedy for victims. There is no effective mechanism to address the problems faced by victims; the only means of complaint provided by the government is to return the complaint to the respective institution, such as the Minister of Agrarian, the Minister of Forestry, the police, or local authorities. As in many cases these institutions are part of the problem, no solutions can be found in this manner. a. Urge the Indonesian government to develop effective complaint mechanisms and remedies for people, particularly indigenous groups, who have lost their land and properties due to business investment. b. Urge the government to protect the land of local communities and indigenous people, rather than confiscate such land. The government should also mindfully avoid other human rights violations in the business area to achieve ends. c. Urge the government to ensure that national and international investors comply with national and international human rights standards. d. Urge the government to ensure prosecution against security forces, thugs, and corporates who commit human rights violations, and guarantee that such crimes will not recur. e. Urge the government to revise any national laws that are potentially being used to legitimize violations of rights in the business area, for instance Presidential Decree No. 63 of 2004, which provides an entry for security forces involved in business. f. Officially invite the UN Special Rapporteur on human rights and transnational corporations and other business enterprises to visit Indonesia.